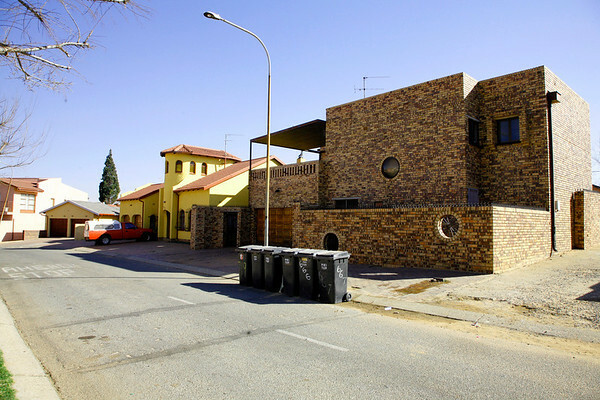 Soweto isn't all shantytown, there are beautiful homes that line the streets that surround the poor areas, like this one. There are also brand new major malls and box stores here. On the left side of this street, and down a small hill, the shantytown begins.